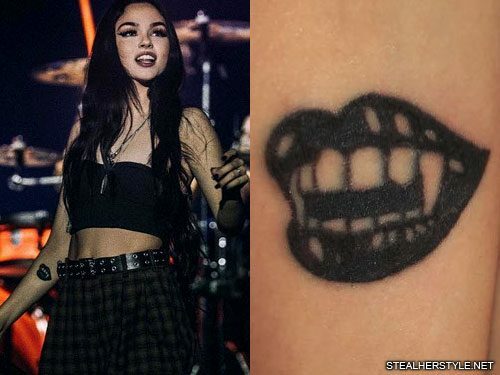 Maggie Lindemann has had this writing tattoo above on her right knee since February 2018, but we haven’t been able to make out what it says. 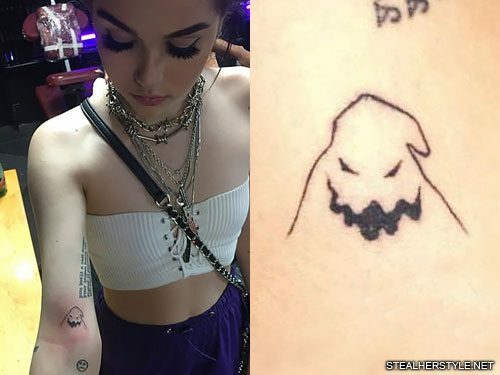 Maggie Lindemann got a little kaomoji smiley face tattoo ｡◕‿◕｡ on her right index finger in January 2018. 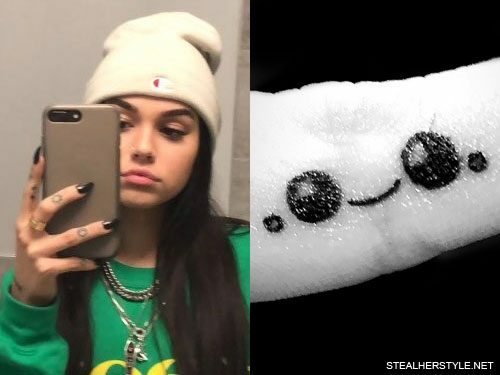 Kaomoji are the Japanese version of emoticons. 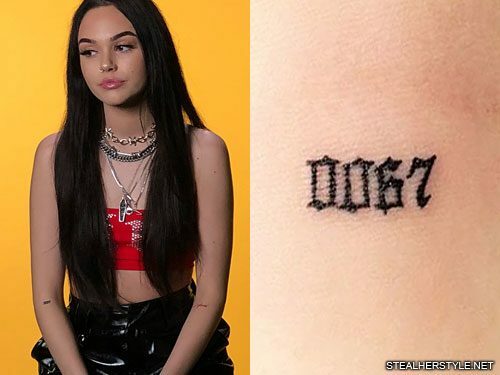 Maggie Lindemann got this “0067” tattoo on her right elbow in January 2018. 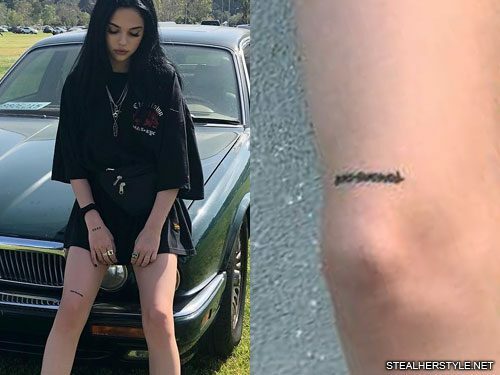 The numbers represent the birth years of her family members: “00” for her younger brother Mason Reid Lindemann who was born in 2000, and “67” for her parents Susan Denise Denson Lindemann and Barton Duane Lindemann who were both born in 1967. 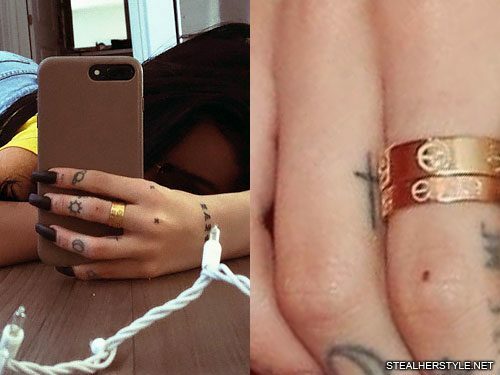 Maggie Lindemann has a tiny cross tattoo on the side of her right ring finger. 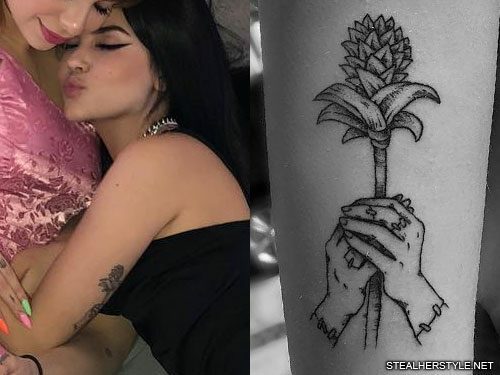 She surprisingly never posted about this one on social media, but it could be seen on the red carpet at the BBC Radio 1 Teen Awards in October 2017. 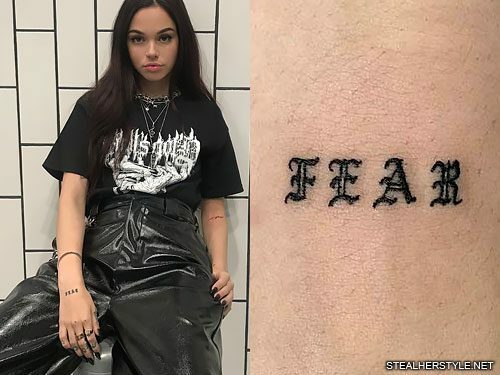 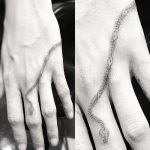 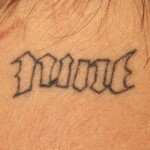 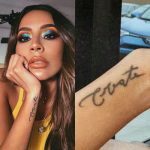 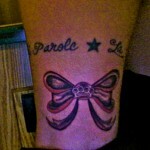 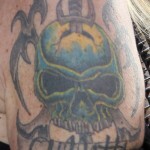 Even though fear is a negative emotion, she got this tattoo with a positive meaning in mind. 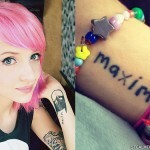 “Fear drives people and fear drives me I think,” she says.